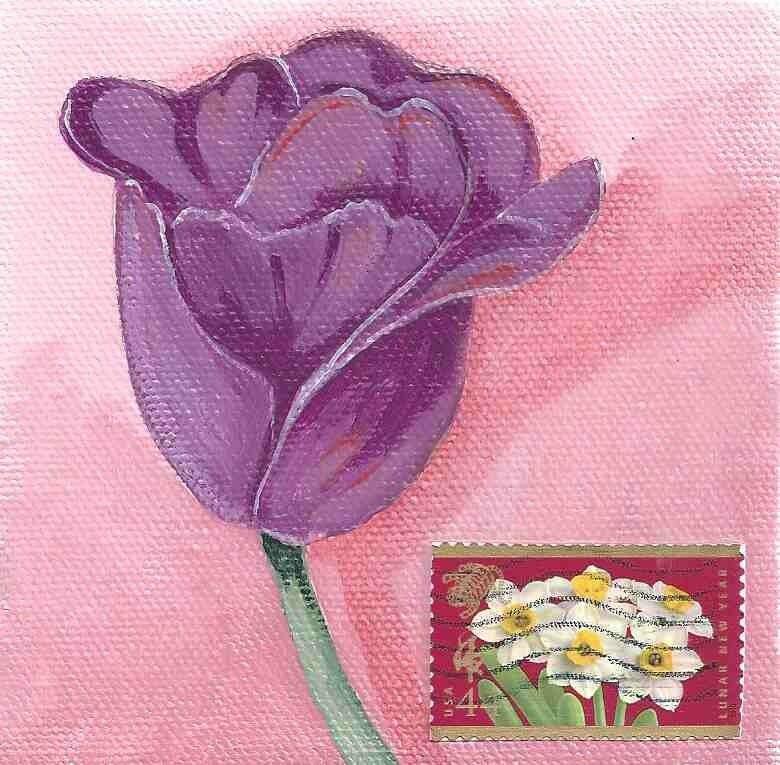 This is a small painting I did on canvas and then added a postage stamp with daffodils that was sent to me on a letter from a friend. I love adding stamps to my paintings! This was a tiny one, just 3" square. It now lives in the Netherlands with a dear friend. The notecard measures approx 4x5" and comes with a white envelope in a cello sleeve.